The mid-18th century was a trying time for Boston. The British were still trying to pay for the French and Indian War, so they came up with a variety of ways to tax the Colonists to bring in extra revenue. After the Iron Act, Sugar Act, Stamp Act, and Townshend Acts, people in Boston were starting to get fed up with the Crown. To get around all the new taxes that were coming down from the British government smuggling became rampant in the Colonies. When the British got wind of this, they sent customs officials into Boston to investigate, and fine anyone caught not paying taxes. 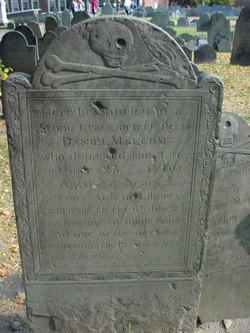 Daniel Malcolm was a notorious smuggler and was best known for sneaking 60 barrels of wine into Boston without paying any taxes. When someone turned him into a customs official, they showed up at Malcolm’s doorstep wanting to search his home. Malcolm threated to shoot anyone who tried to come inside, so the customs officers left. A few hours later when the officials returned with a search warrant, they were greeted by over 200 Bostonians who may or may not have received some of the smuggled wine. They were pretty vocal and wouldn’t let the British officials onto the property. Malcolm told the customs agents that if they told him who turned him in he would allow them to search his house. The officials declined and left. A few weeks later an attorney used a loophole to get the search warrant ruled out, and Malcolm was no longer under any scrutiny by the British when the charges were also dropped. If Malcolm thought he was getting the last laugh on the British, he would be wrong. When British troops took over Copp’s Hill Burying Ground before the Battle of Bunker Hill in 1775, they needed to practice shooting their muskets. What better target than the headstone of an accused smuggler who slipped through the cracks? British soldiers used Malcolm’s headstone for target practice. As you can see the musket balls did a number on the marker and left scars that will be there until the end of time. Visitors to Copp’s Hill Burying Ground tend to capture orbs in their pictures of his headstone. Some say it’s Malcolm watching over his gravesite, laughing and waiting for more British troops to come back to curse him and shoot at his grave. 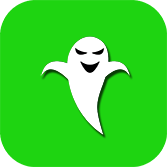 Find out more with the Boston Ghost Map available for only $1.99 in iTunes. Copyright © 2019 Boston Ghost Map. All rights reserved.